Master escape artist Harry Houdini died on Halloween of 1926 from a ruptured appendix, but many of the circumstances surrounding his demise remain mysterious to this day. For over 30 years, Harry Houdini dazzled audiences with his bravura stunts and superhuman endurance. The Hungarian-born escape artist jumped off bridges while handcuffed and wearing leg irons, slithered out of sealed milk cans filled with water, and devised a “Chinese Water Torture Cell” in which he was submerged and suspended upside down by his ankles. The heart-pounding getaways usually involved a healthy dose of trickery and sleight-of-hand, but they were also fraught with genuine risk. In 1915, Houdini nearly suffocated during a stunt in which he was shackled and buried under six feet of dirt. The strange series of events that led to Houdini’s demise had kicked off several weeks earlier on October 11, 1926. While being shackled into his Chinese Water Torture Cell during a performance in Albany, New York, the conjurer was struck on the leg by a piece of faulty equipment. 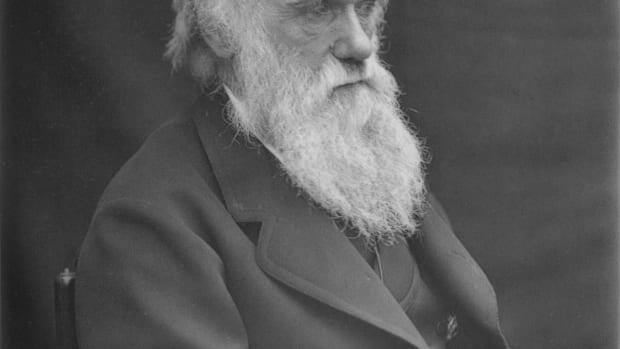 He hobbled his way through the rest of the show, but was later found to have sustained a fractured left ankle. Against doctors’ orders, Houdini continued his tour and traveled to Montreal, where he gave a lecture at McGill University. Just a few days later on October 22, he invited some McGill students to visit him in his dressing room at the Princess Theater. The magician’s sore ankle was still bothering him, so he plopped down on a couch while the group chatted. At some point, a student named J. Gordon Whitehead arrived and asked Houdini if it was true that he could resist hard punches to his abdomen—a claim the magician had supposedly made in public. According to witness Sam Smilovitz, when Houdini said the rumors were true, Whitehead abruptly delivered “four or five terribly forcible, deliberate, well-directed blows” to his stomach. Houdini was still reclined on the couch and had no time to prepare for the punches, which appeared to leave him in considerable pain. Houdini brushed off the incident at the time, but that same evening, he began to complain of discomfort and stomach cramps. His condition only worsened the next day, when he boarded an overnight train to Detroit for a new run of performances. The magician developed severe abdominal pain, cold sweats and fatigue, and his temperature rose to 104 degrees. A doctor suspected appendicitis and instructed Houdini to go to a hospital, but the performer insisted on taking the stage for his opening night show at the Garrick Theater. He proceeded to struggle through his routine before collapsing immediately after the final curtain. The show would be Houdini’s last. That same night, he was taken to a Detroit hospital and prepped for surgery. Doctors successfully removed his appendix, which was found to have ruptured several days earlier, but it had already poisoned his insides. Despite a grim prognosis, the magician clung to life until October 31, when he died with his wife Bess and his two brothers by his side. The official cause of Houdini’s death was listed as peritonitis caused by a ruptured appendix. 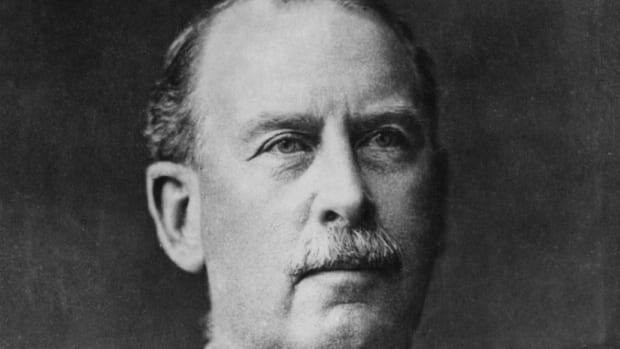 At the time, the magician’s doctors firmly believed that the illness was the result of the walloping J. Gordon Whitehead had given him during their backstage encounter in Montreal. Such cases of “traumatic appendicitis” are extraordinarily rare—one study found only a couple dozen instances over a nearly 20-year period—but in 1926, the diagnosis was widely accepted. Houdini’s life insurance company was even forced to pay his wife a double indemnity for an accidental death. 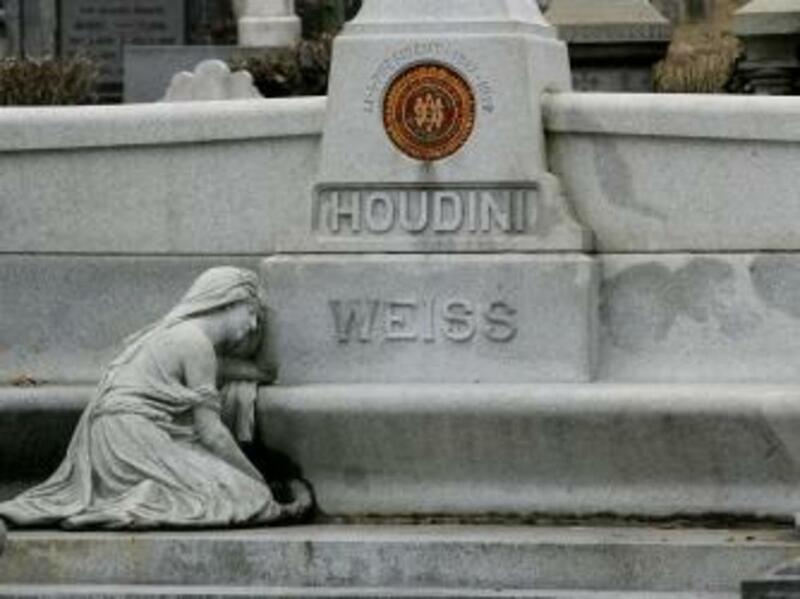 Houdini was laid to rest in Queens on November 4, 1926, but rumors about his unusual death have persisted ever since. 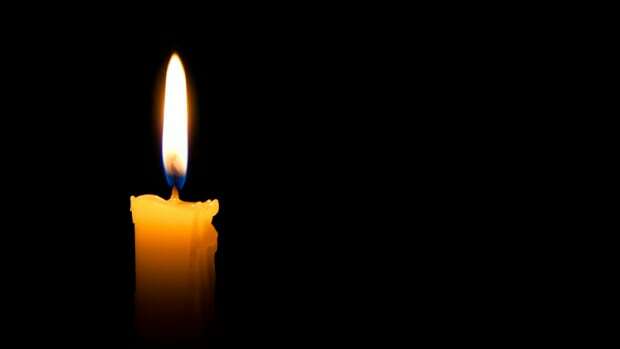 Many of the theories tend to focus on the magician’s contentious relationship with Spiritualism, a pseudo-religion whose adherents once claimed it was possible to communicate with the dead through séances and mediums. Houdini, a born skeptic, had spent much of the 1920s on a mission to debunk the Spiritualists’ claims and expose its top psychics as frauds. 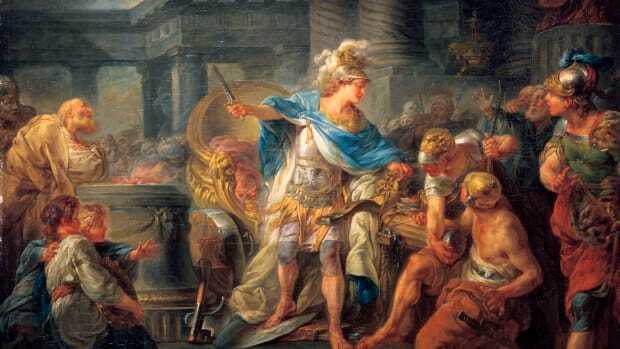 The crusade earned him several million dollars’ worth of lawsuits and more than a few enemies, but at the time of his demise, he showed no signs of letting up. Just a few months earlier, he had testified in front of Congress in support of a bill to outlaw fortune telling in Washington, D.C.
Could Houdini’s meddling have gotten him killed? 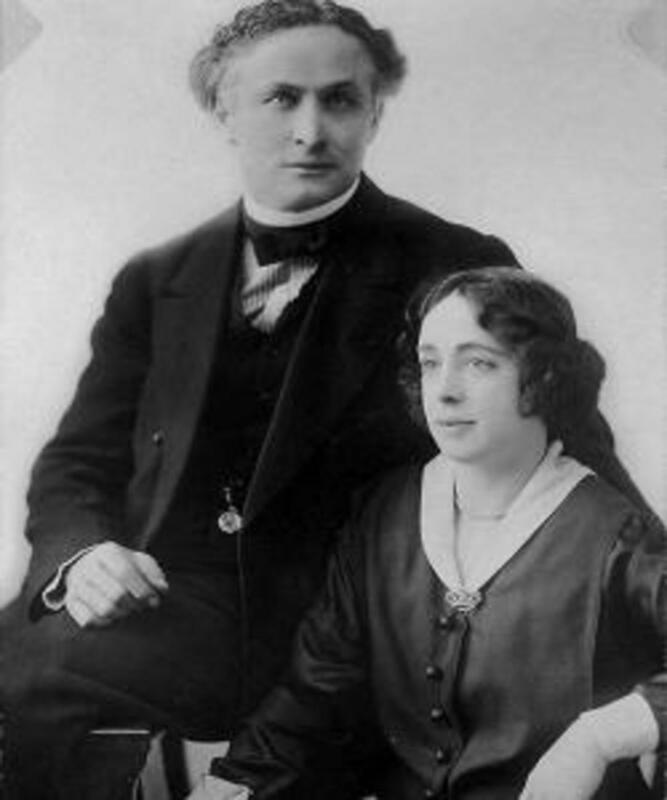 In their 2006 biography “The Secret Life of Houdini,” authors William Kalush and Larry Sloman contend that the magician’s death may have been a carefully planned assassination by members of the Spiritualist community. “If one were to suspect Houdini a victim of foul play,” they write, “then the section of organized crime that was composed of fraudulent spirit mediums must be considered likely suspects.” Kalush and Sloman argue that the Spiritualists had a history of poisoning their enemies, and they note that no autopsy was ever performed to confirm that Houdini’s death was actually caused by appendicitis. “If someone were hell-bent on poisoning Houdini, it wouldn’t have been very difficult,” they conclude. Considerable debate has also focused on J. Gordon Whitehead, the McGill student who supposedly delivered the potentially fatal gut punches in Houdini’s Montreal dressing room. 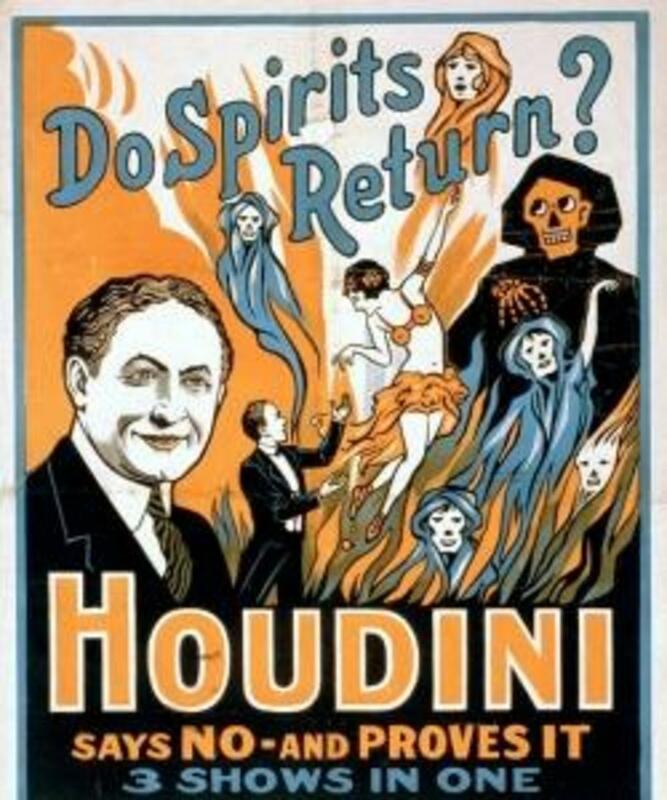 In the 2005 book “The Man Who Killed Houdini,” author Don Bell floated a theory that Whitehead may have been in league with the Spiritualists, some of whom had previously threatened to kill Houdini or have him beaten up. 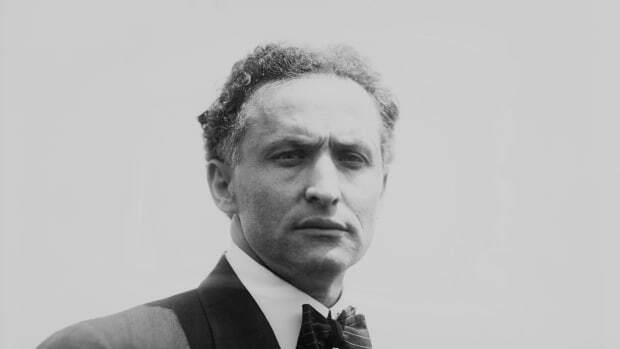 Bell concluded that there was not enough evidence to connect Whitehead to any kind of criminal plot, but others have argued that he was an enemy agent who stalked Houdini during the magician’s time in Montreal. 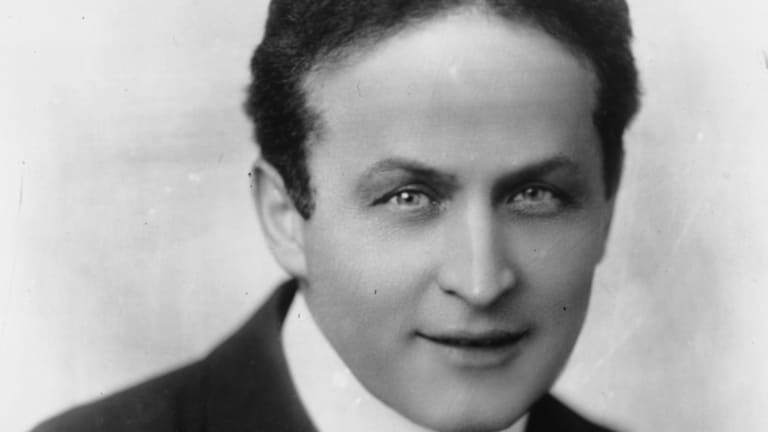 The true cause of Houdini’s demise may never be known for sure, but the majority of scholars tend to dismiss the murder theories as mere speculation. 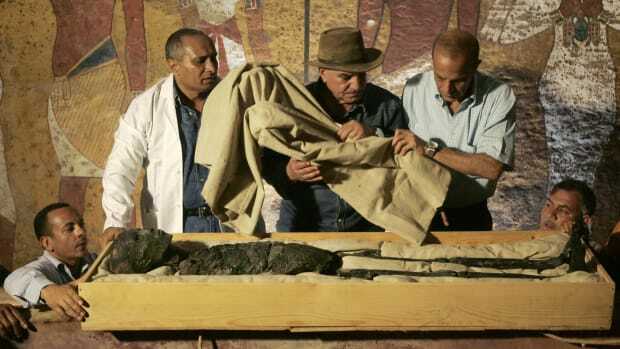 For them, the more pressing question is whether Houdini’s ruptured appendix had any connection to the stomach blows he received a few days earlier. While the evidence shows that such a condition is indeed possible, many consider it more likely that Whitehead’s punches simply caused Houdini to ignore an already existing case of appendicitis. By the time the magician finally sought out treatment, the theory goes, it was already too late. Interestingly, perhaps the most sought after source for information about Houdini’s death is none other than Houdini himself. In what amounted to his ultimate test of the Spiritualists’ claims, the magician promised his wife Bess that he would try to communicate with her from beyond the grave. Bess went on to hold an annual “Houdini séance” for ten years before finally abandoning the search in 1936. Fans and fellow magicians have since made the séance a Halloween tradition, but thus far, the great Houdini’s ghost has refused to speak.